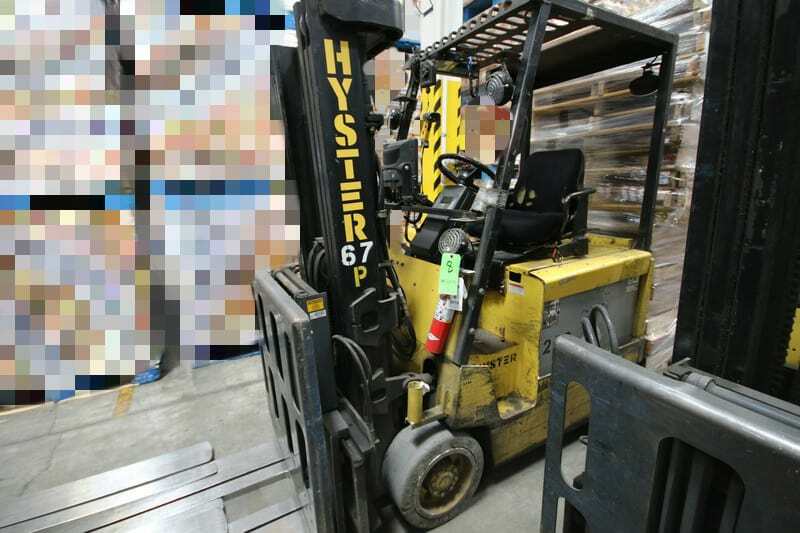 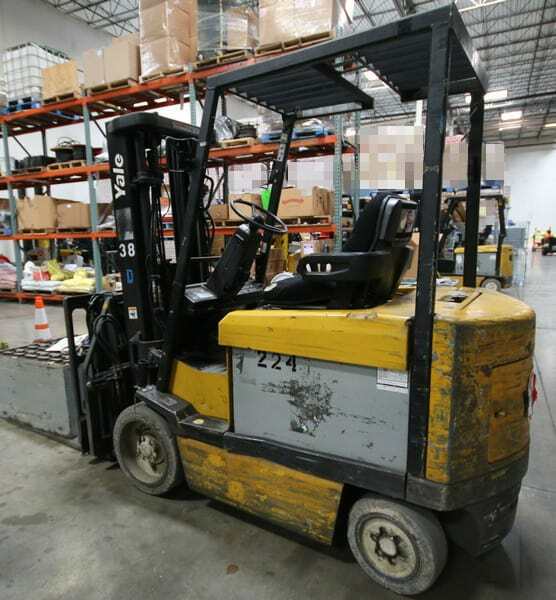 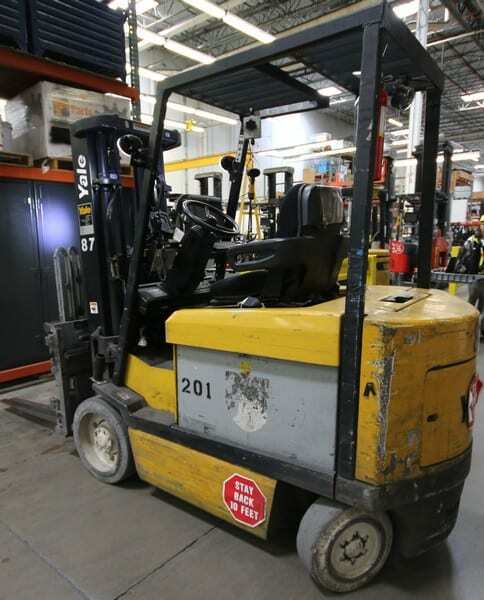 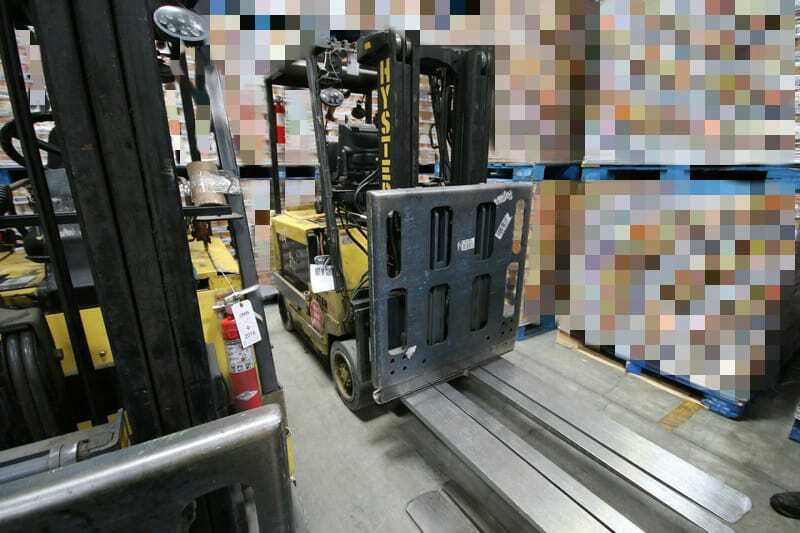 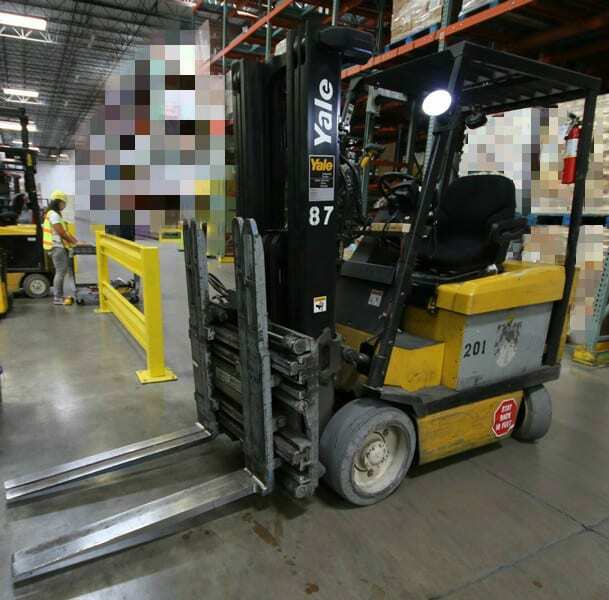 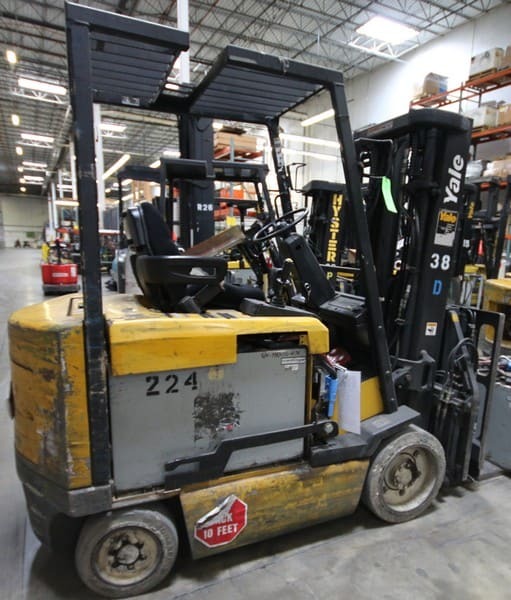 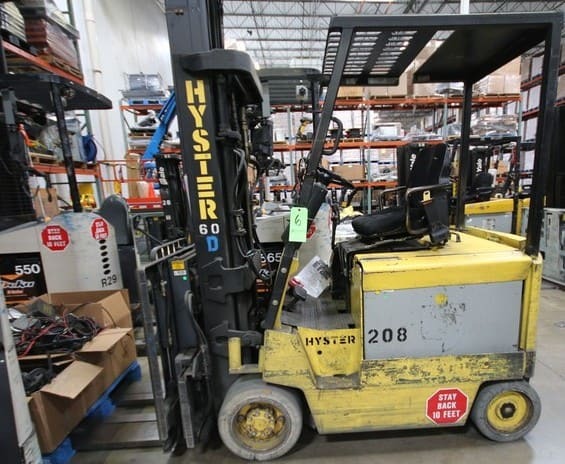 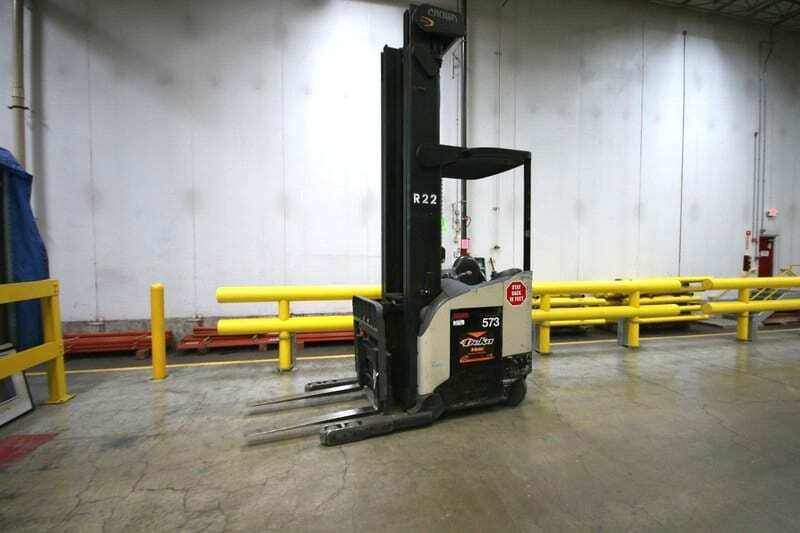 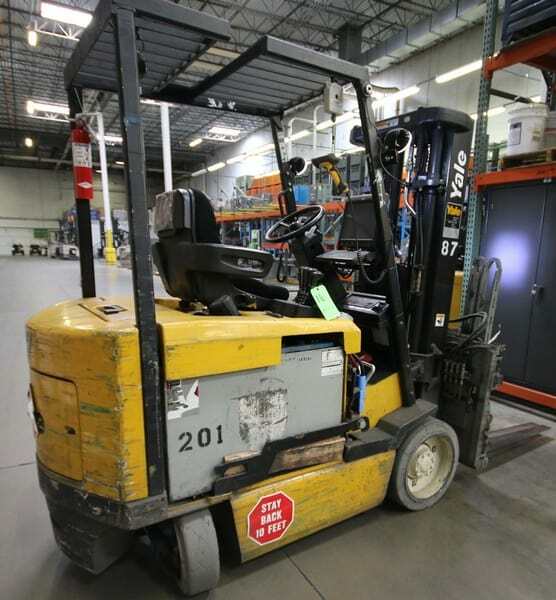 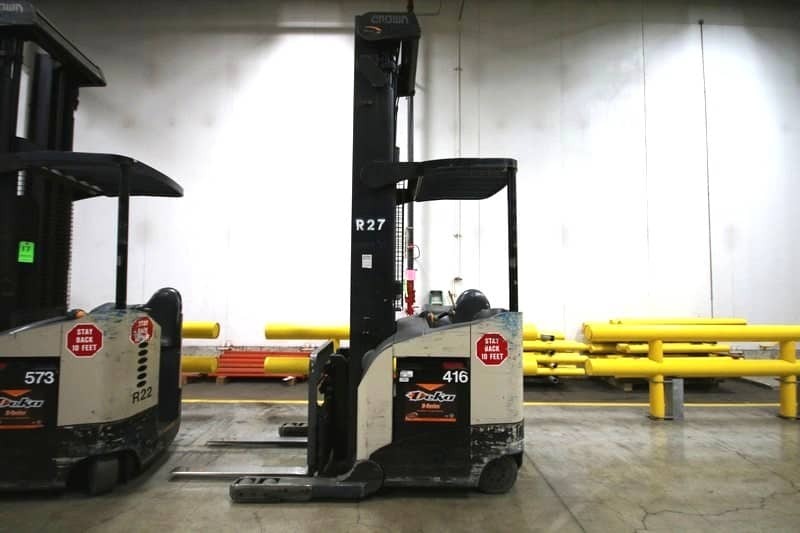 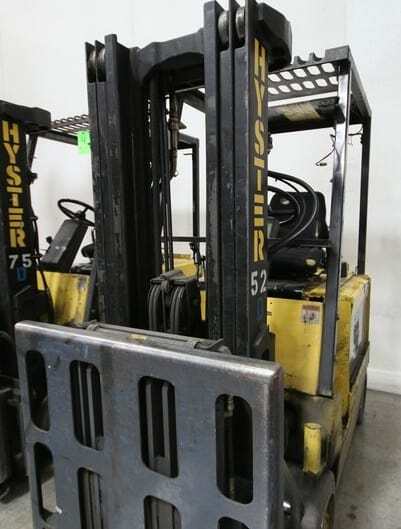 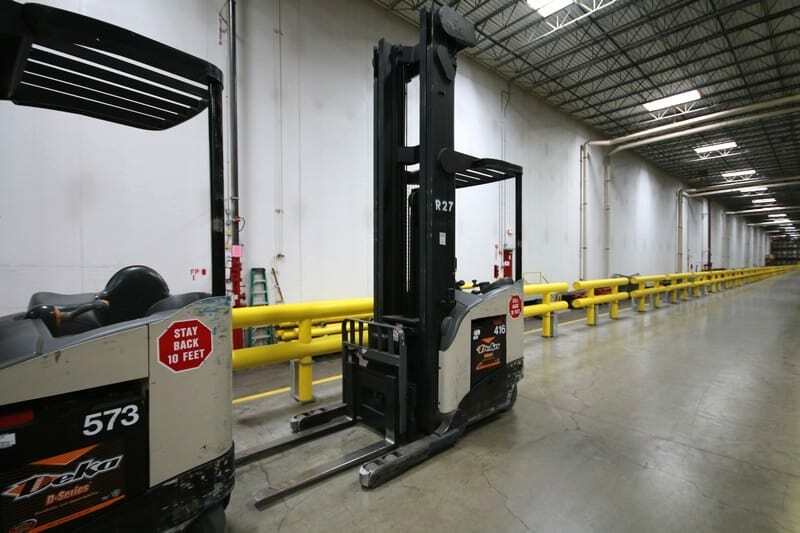 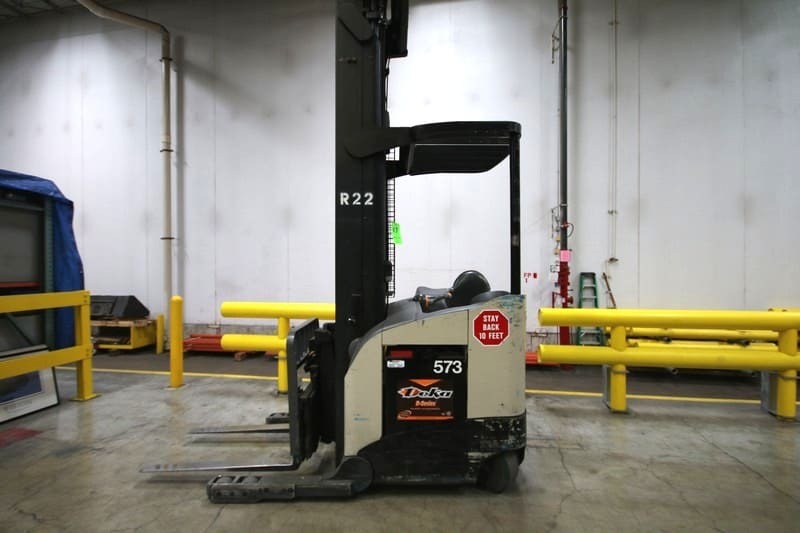 YALE, 3 Stage Mast Forklift, Model ERC060, S/N E108V08483V, 4,600lbs Capacity, 187.8 inch Load Height, Equipped with LORAN Push Pull Slip Sheet Attachment, Side Shift and Fork Spreading Capabilities, (Lift 86) (Lift Turns On and Forks Operate, Lift Does Not Currently Immobile). 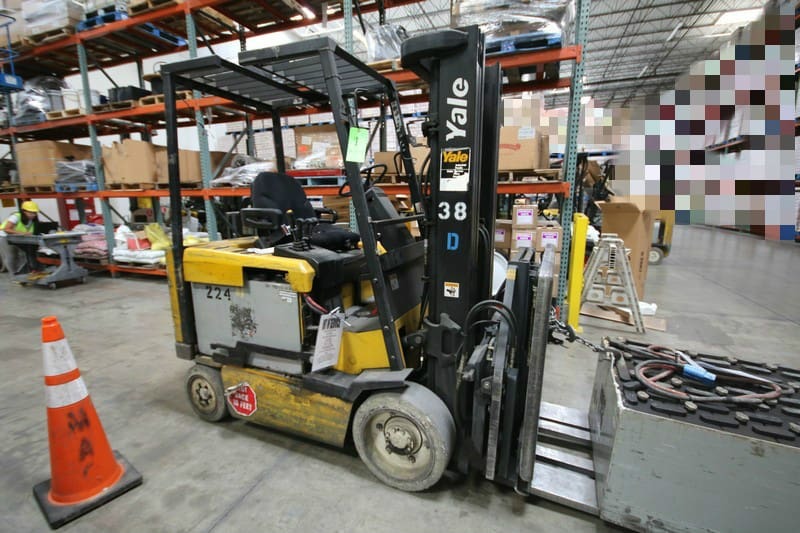 YALE, 3 Stage Mast Forklift, Model ERC060, S/N E108V08491V, 4,600lbs Capacity, 187.8 inch Load Height, Equipped with LORAN Push Pull Slip Sheet Attachment, Side Shift and Fork Spreading Capabilities. 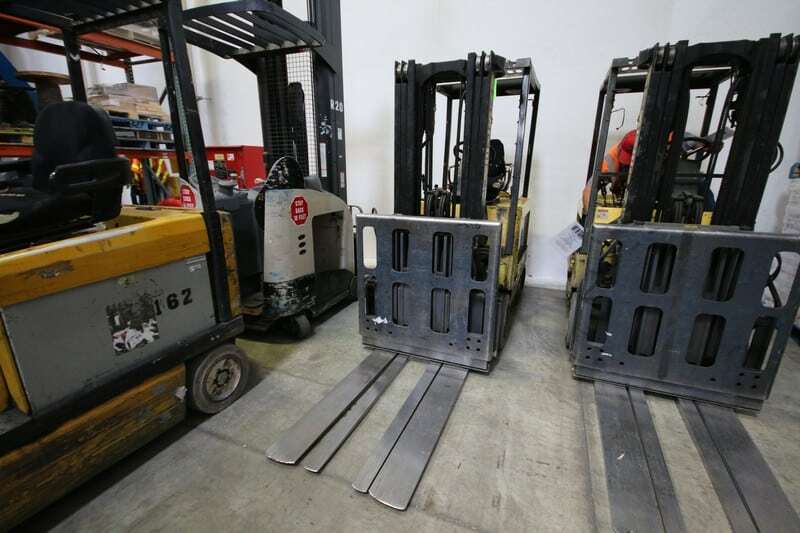 (Lift 83) (Lift Operates and Moves, Forks Currently Not Operating).